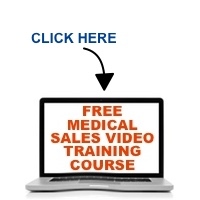 Medical Sales: Don’t bite the hand that feeds you…and make sure you know which hand that is! Since the beginning of selling, salespeople have cozied-up to those who had the power to say “yes.” Not a bad strategy, unless you happen to be selling in medical sales today. Everything is changing and I’m finding that many who work in the business of selling to healthcare, have been biting the hand that feeds them. Listen as Mace discusses what you should be doing NOW, before it’s too late.